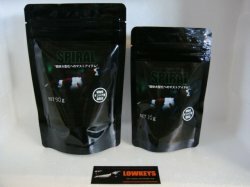 SPIRAL makes shrimps grow faster with high absorption vegetable protein. This product is not palatability but has high nutritional. Add this product into a water tank approximately once a week.